Researchers at the University of Derby have developed a breakthrough identification technique that helps develop fingermarks after prolonged periods of time. Up until now, fingerprint techniques used by forensic scientists have always found metal surfaces such as knives and firearms very challenging. Now, a team of researchers from the University of Derby and the University of Nottingham, have developed an approach that uses Time-of-Flight Secondary Ion Mass Spectroscopy (ToF-SIMS), which is capable of revealing fingerprint ridge detail that is exceptionally clear and can be analysed up to 26 days after deposition. This raises the possibility of being able to reliably visualise fingerprints on surfaces previously thought to be devoid of such crucial evidence. 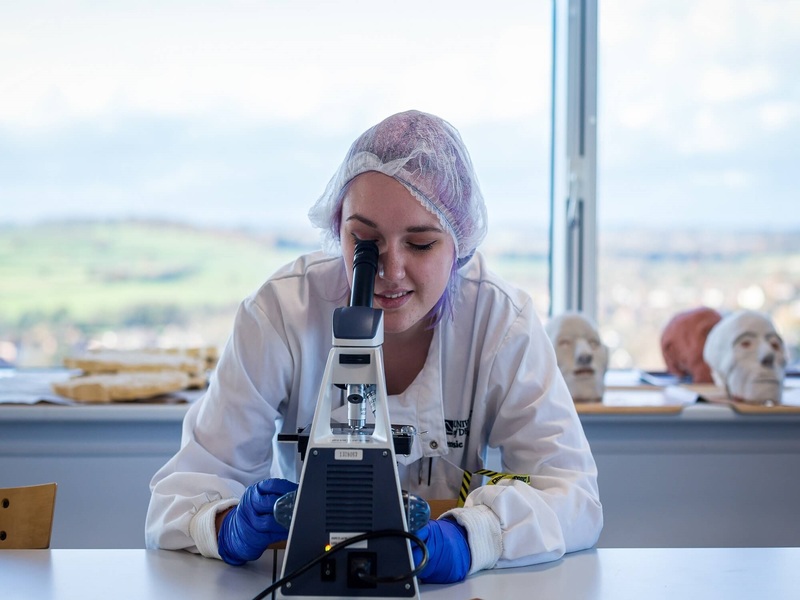 Adam Long, Undergraduate Programme Coordinator for Forensic Science at the University of Derby, said: “This revolutionary system is the first of its kind. “Fingerprints are incredibly difficult to retrieve from metallic surfaces. This is mainly due to physical and environmental conditions that the prints may be exposed to at the crime scene, the age of the print, as well as how the developing agents react with the surface. To conduct the study, researchers took fingermarks from six donors, every day for 14 days. The fingerprints were put on to disks of brass, aluminium and stainless steel and treated simultaneously so the effects of ageing could easily be determined. Using an Ion beam, from the ToF-SIMS technique, the researchers were able to detect and visualise the fingerprint secretions, in order to determine which metal surface was capable of preserving the previously undetected fingerprints. The results showed that the fingerprints developed using traditional techniques did not work nearly as well, with one showing no results at all after the 14 days, unlike the ToF-SIMS method, which was used repeatedly up to 26 days after initial sampling – the first time this has ever been done. This technique is of interest to the East Midland Scientific Operations Unit – Forensic Services who helped develop the conventional marks used in the study. The full findings, which were conducted by Tshaiya Devi Thandauthapani, Adam Reeve, Adam Long, Dr Ian Turner and Dr James Sharp, can be found here: (www.sciencedirect.com/science/article/pii/S1355030618301515?via%3Dihub). University of Derby student using a microscope in the science laboratory.